Combine caramel, apple, and cinnamon to make a drink that will warm you up on a cold day. 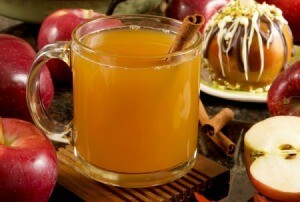 This page features a caramel apple cinnamon drink recipe. Enjoy this hot winter drink. Dissolve cider mix in 6- 8 oz mug hot water. Stir in caramel and add a dash of cinnamon. Top with Reddi Whip. I add a drizzle of caramel to the top of my whipped cream. This is really good on those cold rainy and snowy days. You can use fat free products to make it a little less of a guilty pleasure.